BioZyme’s recent acquisition of Cogent Solutions Group has given us the opportunity to expand our Vitalize product line with two exciting new products. 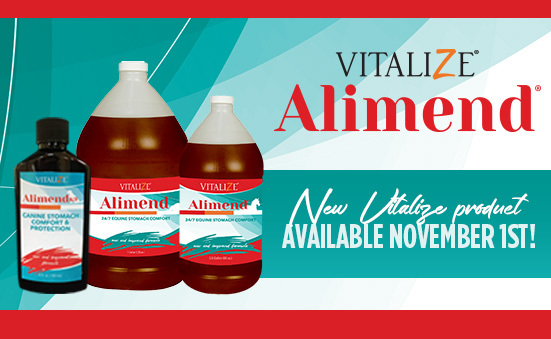 Vitalize Alimend and Vitalize Alimend K9 will be available to order starting November 1, 2018 as part of our Vitalize companion animal line of products. Register below for one of our two upcoming dealer webinars to learn all about these new products.